Chin Wag At The Slaughterhouse: Interview With Castle Freeman, Jr.
Castle Freeman is the award-winning author of six novels. Go With Me is based on one of the King Arthur Tales of Thomas Malory. All That I Have is about the middle-aged Sherriff of a rural Vermont town. 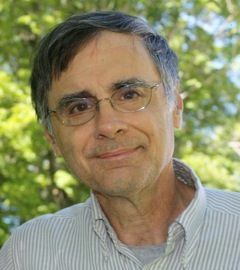 Freeman’s novels are set in Vermont and typically focus on local lives. 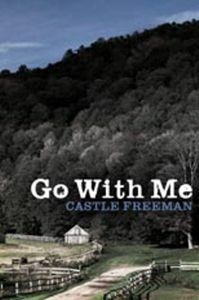 Most of Freeman’s writing is about life in rural New England. Castle met me at The Slaughterhouse where we talked about gun laws and the relevance of mythology. How did Thomas Malory inspire your great novel Go With Me? I have always loved Malory’s King Arthur tales, and in particular the Tale of Sir Gareth, because it seems to me to have a humor, an irony, that the other tales lack. The similar tales of Lancelot, Gawain, Galahad, etc., etc., are mainly straightforward accounts of heroic chivalry. The knight vanquishes the bad guys and delivers the damsel from her distress: curtain falls. In Sir Gareth, the heroic knight is subject not only to the threats of the various adversaries he must overcome, but also to the scorn and abuse of the very lady he is trying to serve, who has zero gratitude for his help, zero admiration for his feats of arms on her behalf, and zero respect for what she takes to be his low birth. My project was initially to cast that witty situation into an engaging, artful story set in the present in rural New England. Having done that, however, I found the finished product somehow thin or incomplete—hence the invention of the circle of men sitting around the sawmill, drinking beer, reminiscing, and commenting on the simultaneously developing Maloryesque adventure, and on much else. They gave me a whole new dimension of my story to elaborate and exploit; indeed, the chair factory scenes wound up being closer to the feeling I wanted the whole book to have than did the original inspiration from Malory. In my experience, stories often end up being about something other than what you originally intended for them—a freedom and unpredictability that is a source of surprise and delight for me. Vermont has the loosest gun laws in the US, yet is a state with low crime levels, it is also an agricultural state in which hunting is popular. What are your views on US gun laws as they apply to Vermont? The bitterly vexed question of gun ownership and gun crime in the US today does not invite originality and is, in any case, far above the pay grade of a journeyman fiction writer. Nevertheless, a couple of things should be kept in mind. Vermont has loose gun laws (in fact, it has essentially none) because it is a thinly settled, rural state. The divide in the US over whether and on what terms people should own guns is a divide along an urban-rural line, rather than a divide according to section, income, education, occupation, religion, national origin, race, political culture, etc. Partly the tradition of gun ownership, here and elsewhere, is related to hunting, which obviously implies use of and familiarity with guns. Hunting is not as prevalent in Vermont as it was a generation ago, but it is still well and widely established here; hence, so is gun ownership. That so many law-abiding US citizens own guns is not merely a perverse American anachronism: it’s a custom that is rooted deep in US history and culture, for better and for worse, and that is (evidently) sanctioned by the US Constitution. The dilemma for thoughtful Americans is that, notwithstanding the right to bear arms, there are a hell of a lot more arms borne here than there should be for the sake of everyone’s safety. Whether that dilemma can be resolved by law or public policy is the question. Perhaps it can’t be. The guns are here, and they aren’t going to go away. Tell us about your novel All That I Have. ATIH is the story of a stressful passage in the life of Lucian Wing, the middle-aged sheriff of a rural Vermont town. Wing is successful in his work because, rather than devote his energy to enforcing and imposing the strict letter of the law, he takes a softer path, using his intimate, lifelong knowledge of the people he serves to help troubles work themselves out. This approach does well enough with the locals, but as the story begins, a group of mysterious criminal Russian emigres has moved into a remote property in the sheriff’s jurisdiction and is raising hell. Sheriff Wing’s zen-like police work will hardly succeed with this crowd. How does he proceed, and what happens? That’s the story, but more important than the story is the character of Sheriff Wing, the portrait of his community; and certain problems he has in his personal life, including a wandering wife, a self-destructive young protege, an overzealous subordinate, an obstreperous father-in-law, and a sense that the times are passing him by. I had originally intended in this novel to explore the idea of the witless thief who steals something whose importance, and whose threat to himself, he does not understand. That story, which is still in the book, was to have been the main narrative. The sheriff was a minor character. But then I began to think of telling the story from the sheriff’s point of view, and as a first-person narrative. Right away he kind of began speaking to me, and he and his voice soon took over the book. Once again, as in GO WITH ME, the story, given time, knows what it needs to do and where it needs to go, almost without the help of the author. How has Vermont influenced your fiction? Hmmm. I don’t know if it’s a matter of influence or something bigger, vaguer, and more pervasive. Does the water influence the fish? 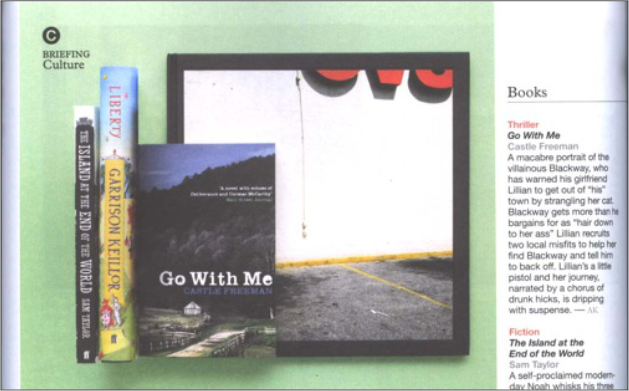 Vermont, as a setting, a landscape, a community, a place with a particular history and culture (including a particular kind of humor), is the subject of most of what I have written, fiction and nonfiction, over more than forty years. It was to try and convey the feeling of living here, and to do so without too much recourse to straight physical description, that I originally began to write short stories and sketches. That’s my ambition today, as well, or a large part of it. Maybe I ought to add that I am not a Vermonter. I came here in my twenties. So I have an outsider’s view, and an outsider’s affection. What do you make of the E Book revolution? Graham Greene famously wrote, ‘There is a splinter of ice in the heart of a writer.’ What do you make of his observation? To this I would add, concerning that poor art: have fun with it. I’m finishing a new novel, hope to be done by spring. I’m also working on stories and essays, including a short biographical essay about the 19th century American historian Francis Parkman. How relevant do you think mythology is today both to everyday life and literature? I think mythology is relevant to everyday life and to literature in that it is implicated in both, and in somewhat the same ways. Myth is a way humans have used to understand and be reconciled to their experience. Myth commonly achieves this in very broad and conventionalized terms. Literature (by no means confined to fiction) does the same but on the smaller, less stylized, and more documentary scale of portraying lives lived in real time. Literature is micromyth. I find I am beginning to sound like a Big Thinker, so I will close with gratitude for my very enjoyable visit to the Slaughterhouse. Thank you Castle for giving an eloquent and insightful interview. 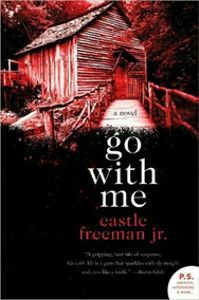 Read about other Castle Freeman books at his website here. This entry was posted in Author Interviews - Chin Wags and tagged Castle Freeman, famous authors. Bookmark the permalink. 2 Responses to Chin Wag At The Slaughterhouse: Interview With Castle Freeman, Jr.
A couple of thing Castle did not mention about the ruralness of his surroundings was the cold, the snow and the quiet–all marvelous things.